You are currently browsing the tag archive for the ‘1940’ tag. The FDR Presidential Library and Museum and the Roosevelt Institute are pleased to announce “FDR’s 4 CAMPAIGNS,” a free public forum on October 21, 2012. The forum will consist of two afternoon panel discussions beginning at 1:30 p.m. in the Henry A. Wallace Center at the FDR Presidential Library and Home. Both panels will feature leading scholars and authors discussing Franklin Roosevelt’s historic four presidential campaigns. In addition to house seating, these programs will be webcast live (linked from the Library’s website) with online viewer participation. Registration is required. Call (845) 486-7745 for information. For a printable agenda visit the Roosevelt Library website’s events page at: http://www.fdrlibrary.marist.edu/publicprograms/calendar.html. Franklin D. Roosevelt was elected to the presidency four times in the midst of the two greatest crises of the 20th century. 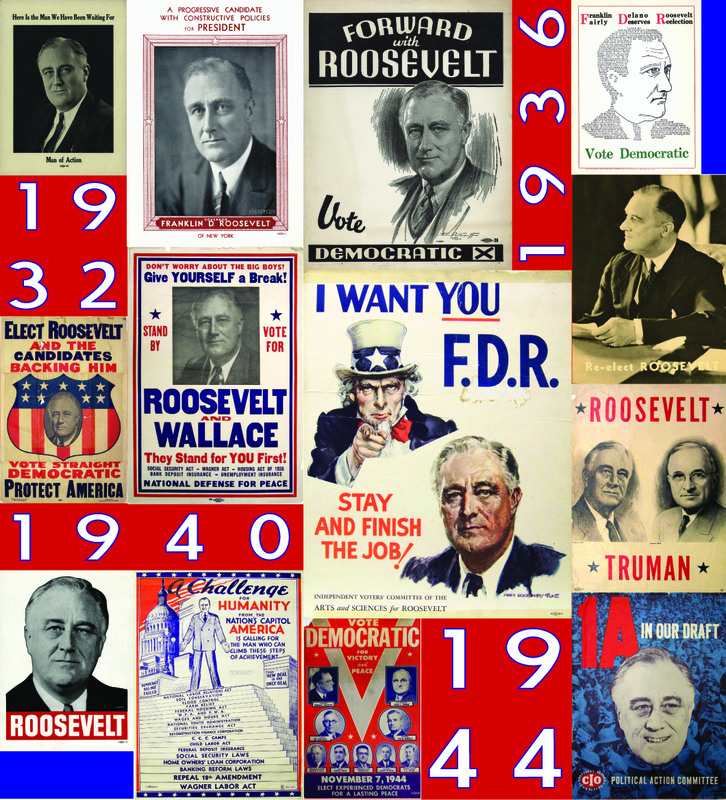 Each campaign was unique, reflecting Roosevelt’s evolving vision for the Nation and its place in the world. The first panel discussion, beginning at 1:30 p.m., will focus on FDR’s first two elections. His First and Second campaigns took place during the Great Depression. In 1932, he campaigned to bring a New Deal to the American people. 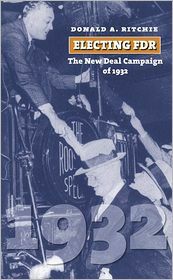 The 1936 election was a referendum on Roosevelt’s vision of a progressive government playing an active and positive role in the American economy. This first panel will be moderated by Mary E. Stuckey, Professor of Communication, Georgia State University and author of “Defining Americans: The Presidency and National Identity.” Panelists will include Donald A. Ritchie, Historian of the United States Senate and author of “Electing FDR: The New Deal Campaign of 1932;” and Gregory E. Geddes, Professor of History, State University of New York – Orange and specialist in the history and literature of labor and the American left. This now famous line was uttered by FDR during his acceptance speech at the 1932 Democratic National Convention. FDR was nominated as the Democrat’s presidential candidate four times – 1932, 1936, 1940 & 1944. He made history at the 1932 convention by flying to Chicago to accept the nomination in person – a practice which is still in place today. Aside from those four conventions, FDR also played a role in earlier conventions, and the convention of 1924 marked an important milestone for him and his political career. 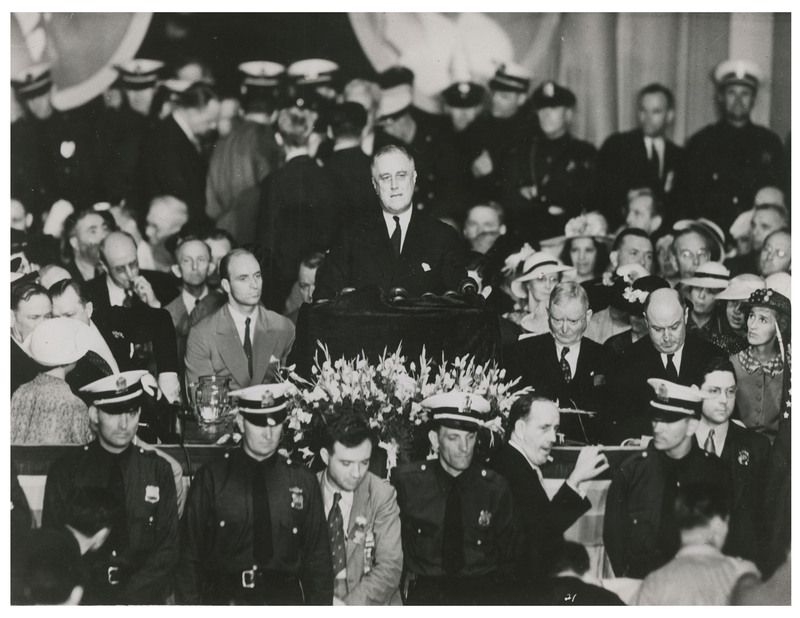 On June 26, 1924 FDR re-entered the public arena at the Democratic National Convention in New York City. Three years before the convention FDR contracted polio, a disease which left him paralyzed from the waist down. 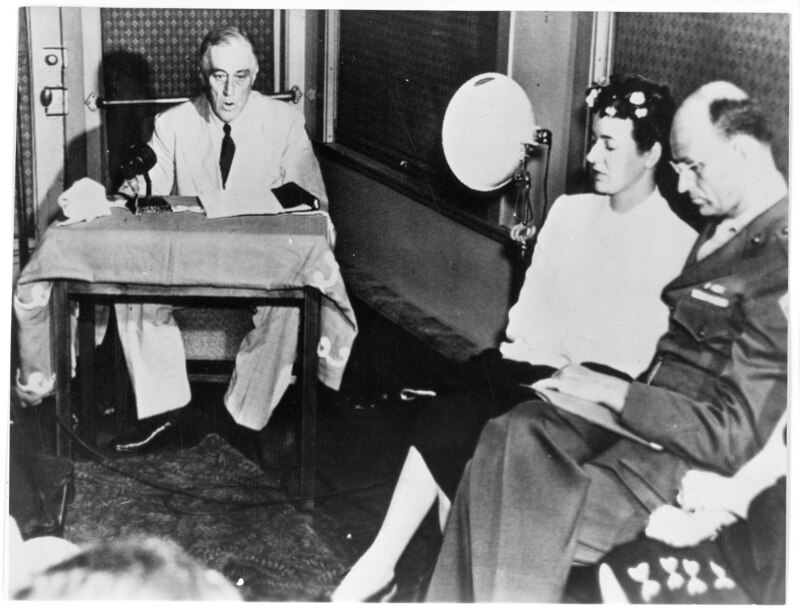 Thanks to the work of Louis Howe and Eleanor Roosevelt, FDR was able to stay active in politics while he began his rehabilitation. In 1924 FDR backed New York Governor Al Smith as the presidential nominee for the Democratic Party, and Smith asked FDR to give his nominating speech at the convention. 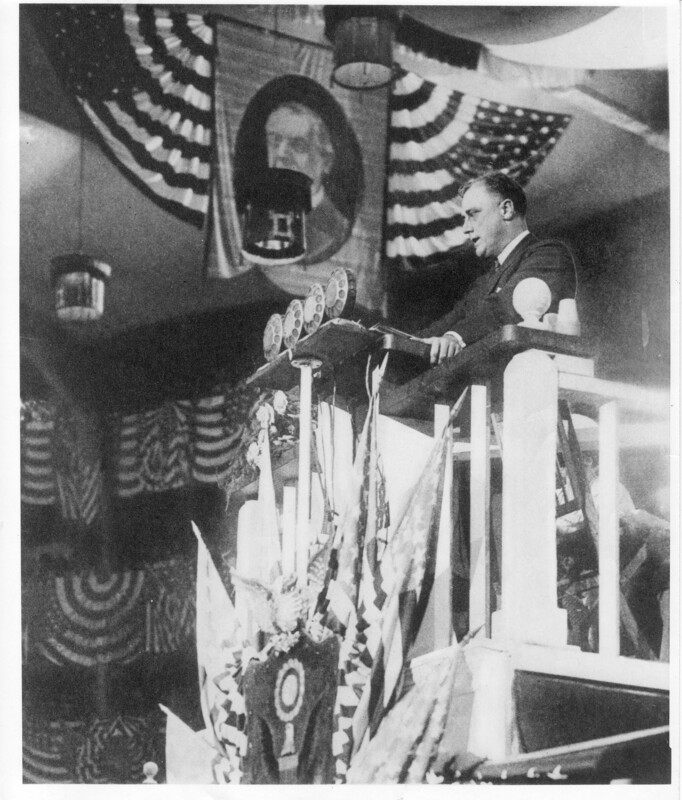 When on stage, FDR moved to the podium assisted only by his two crutches – a huge feat for him to perform. In his speech FDR declared Smith to be “The Happy Warrior.” Smith failed to get enough delegates to win the nomination. FDR went on to nominate Smith again at the 1928 convention in Houston. Smith won the Democratic nomination, but lost the presidential election to Herbert Hoover. Franklin D. Roosevelt delivers nominating speech for Alfred E. Smith at the Democratic convention, Madison Square Garden, New York, New York. June 26, 1924. The 1932 convention pitted FDR, now governor of New York, against Al Smith and many others. The convention that year was held in Chicago, and after four contentious votes FDR was named as the Democratic nominee for the presidency. FDR went on to promise action and relief against the hardships caused by the Great Depression and pledged himself to a “new deal” for all Americans. 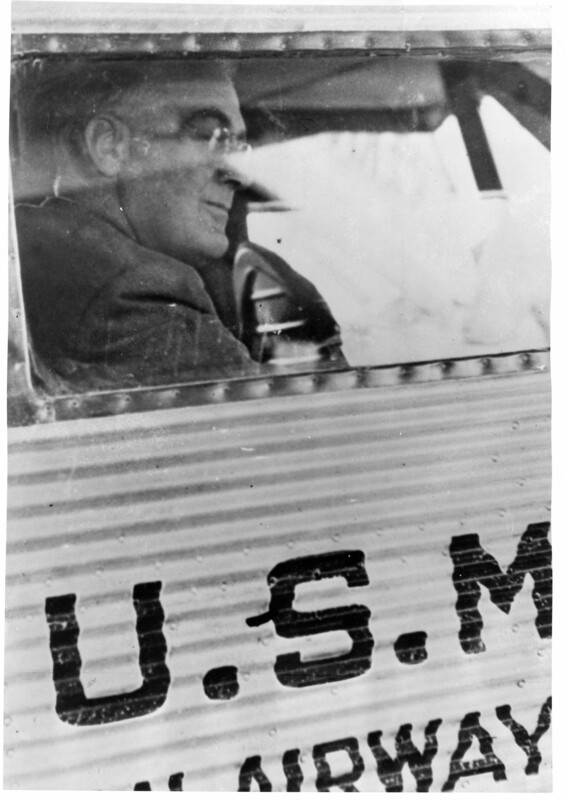 Franklin D. Roosevelt aboard airplane as it refuels in Cleveland, Ohio on his way to Chicago. July 2, 1932. Philadelphia was the site for the 1936 convention – a convention which was much calmer than that of 1932. FDR and Vice President John Nance Garner were nominated without the need of a roll call, and on June 27th, FDR addressed the convention. FDR accepts the nomination for the Presidency in speech at Franklin Field, Philadelphia, PA. June 27, 1936. 1940 brought another convention first. After much speculation, FDR broke with presidential tradition and ran for a third term. While he was easily nominated on the first ballot, the convention was not without some controversy. This time it lay in the nomination of a vice-presidential candidate. The vote came down to two men, Henry Wallace and William Bankhead. FDR was adamant on Wallace being his running mate, but the convention was less convinced. 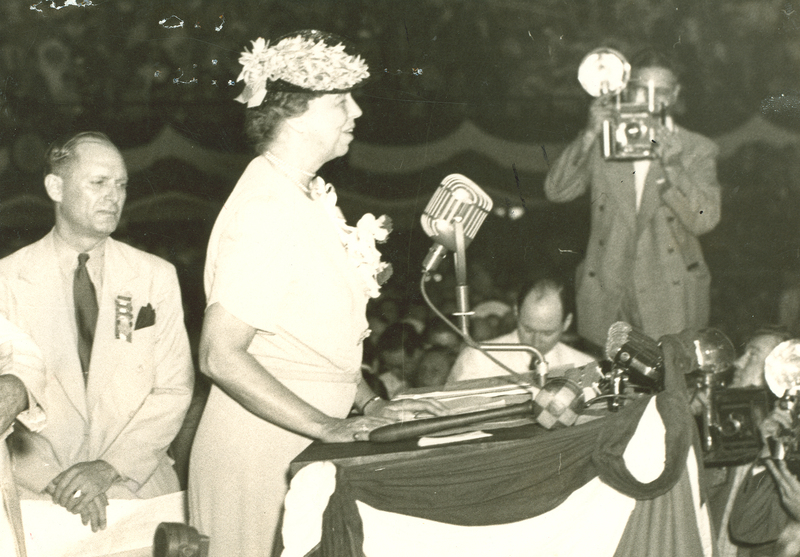 Eleanor Roosevelt addresses Democratic National Convention, Chicago, Illinois. July 18, 1940. 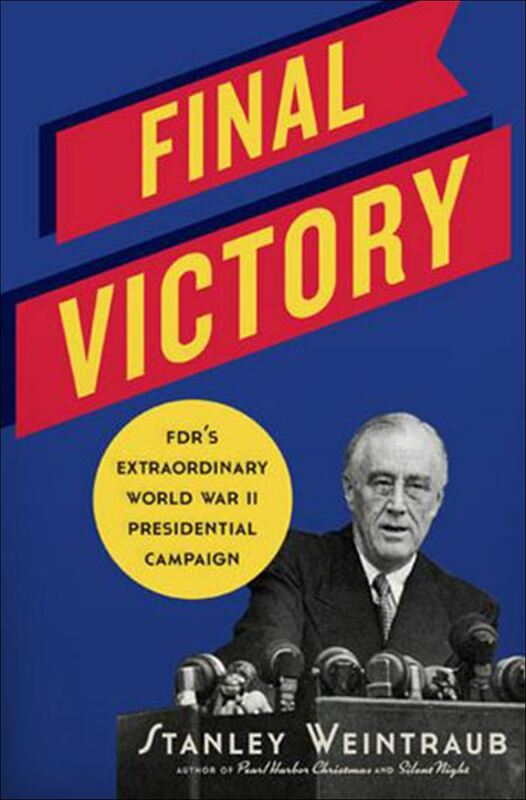 The 1944 convention brought about the unprecedented nomination for a fourth term for FDR. Like the convention in 1940, FDR did not attend this convention. Instead, when the nomination was announced FDR was in California on his way to Hawaii to discuss military strategy for the ongoing war. Even with the easy nomination for FDR, this convention was not without controversy and contention. Again, the controversy centered on the vice presidential nomination. By 1944 FDR’s health was steadily declining, and many delegates were opposed to Henry Wallace becoming FDR’s possible successor. Harry Truman was proposed as the vice presidential candidate, and though FDR knew little about Truman, he agreed to Truman’s nomination for the sake of party unity. Franklin D. Roosevelt accepts nomination by DNC at Chicago from train at San Diego, California with Mr. & Mrs. James Roosevelt. July 20, 1944.